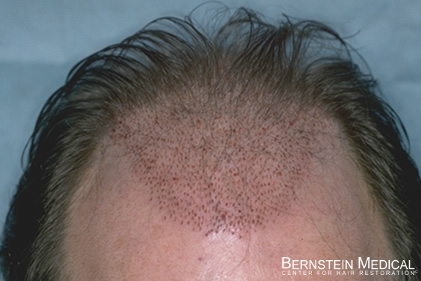 Bernstein Medical - Center for Hair Restoration Patient CKC is a Norwood Class 5 with fine, brown hair and a donor density of 1.8 hairs per mm2 which is slightly below average. 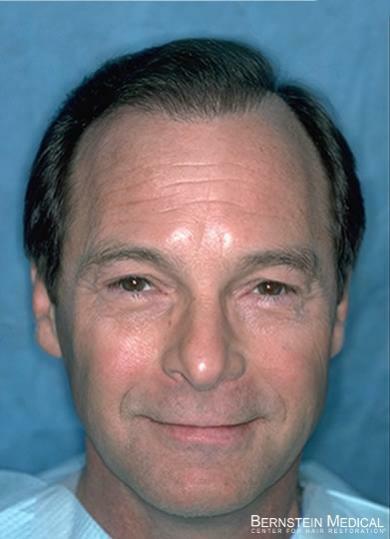 CKC is a health care professional who had very definite ideas regarding how his hairline should be planned in his hair replacement procedure. His specific concern was that his temples would show enough recession for his age. 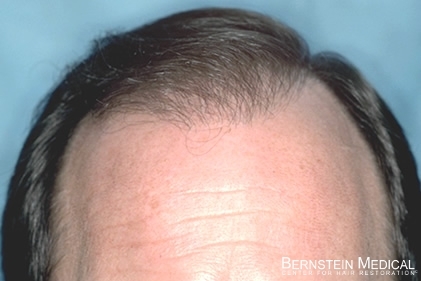 Note how balanced and natural his final result looks. 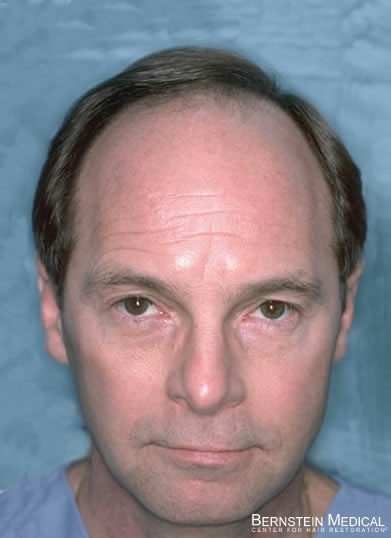 Photos taken one year after his second hair transplant showing younger appearance even now that he is older. 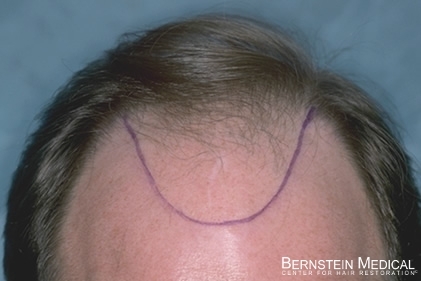 CKC had 3,770 grafts over the first two sessions. 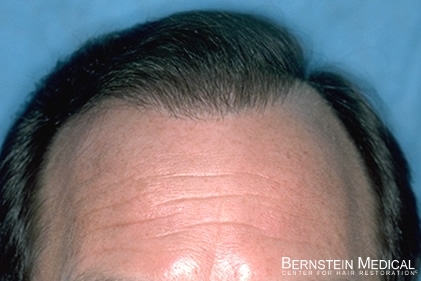 Head tilted slightly forward to show hairline with significant bitemporal recession. 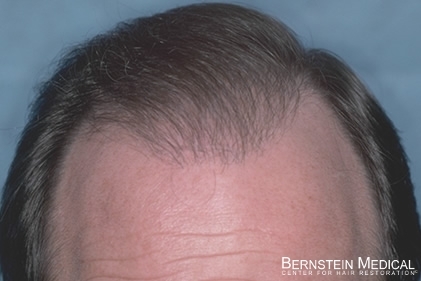 Hairline detail after first and second sessions.